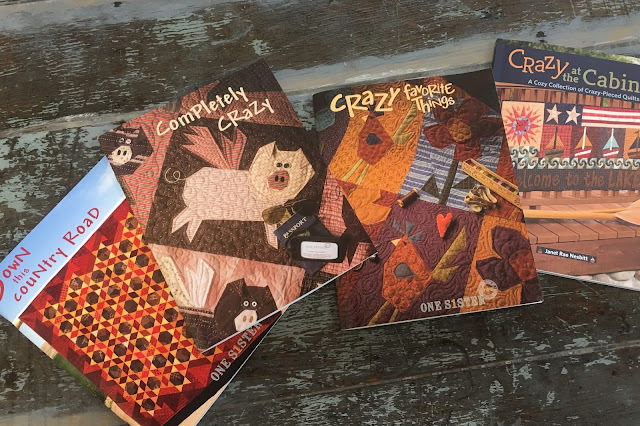 This week, as promised on social media, we are giving away the new book that was just released in August from Janet Rae Nesbitt of One S1ster Designs, "Crazy at the Cabin." Want to try a simple piecing method that's fun for stitchers of all skill levels and creates intricate quilts that look precisely pieced? Crazy piecing, Janet Rae Nesbitt's one-of-a-kind technique, gives your quilts a complex look, but it's easy and fun to do! Clear instructions ensure success as you dive into this addictive and unique method, stitching boats, owls, stars, moose, and other cabin-themed quilts. We recently did a Designer Spotlight on Janet, if you missed that blog post, you can catch up with her story here. Janet gave us this book at Quilt Market, so not only is it a great book that's hot off the press, it is SIGNED by Janet as well. The lucky winner could be you!!! Let's Get Quilting - Crazy at the Cabin Book by Janet Rae Nesbitt! Want to meet at the Coffee House? This awesome collection is ready just in time to cozy up with a quilt and a cup of coffee. Do you want to be the lucky challenger this month to work with this awesome group by designer Debi Hron? Here is a peek of the whole collection. In this month's challenge, you will receive the fabrics shown above, and a nearly whole month to create whatever you want!!! Plus you get to keep them when you're done! Are you inspired? We want you to put your name in the hat for this month's challenge! Comment on this blog post. You MUST put your email in the comment, so we can contact you. PLEASE REPLY AS SOON AS POSSIBLE! We will pick someone on Wednesday!! 4. WE send you the "Coffee House" fabrics shown above. 5. YOU make something AWESOME during the month of November, with pictures and your story. *We would like to have challengers show us they can do it. 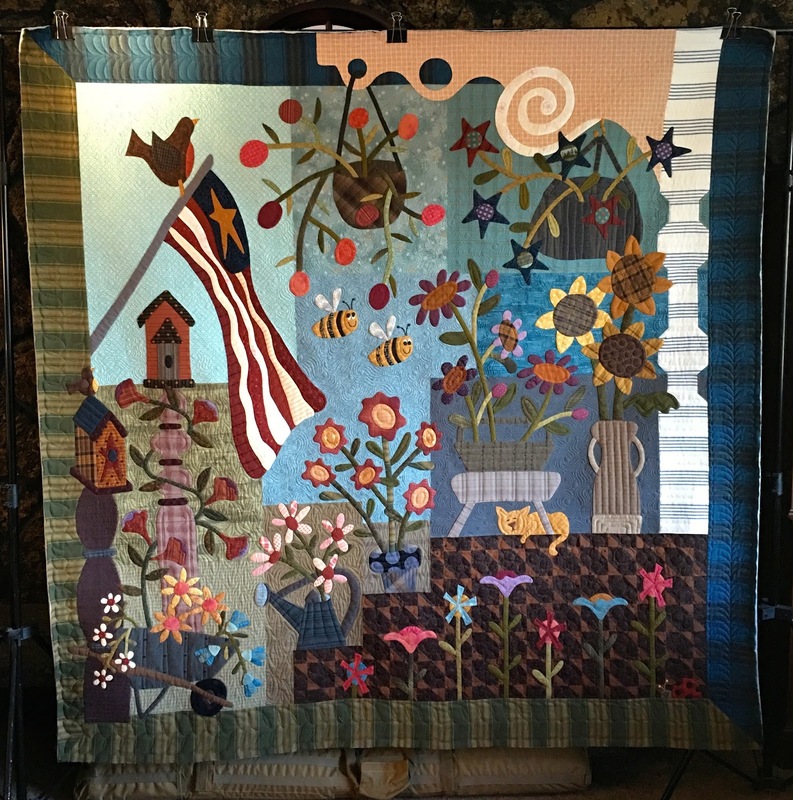 So while you don't need a blog, a profile with some quilt pictures (and a real name) helps. Enter by commenting with something you have done before. We will not post your emails, or links on the site, it will remain private. We just want to get a flavor of how inspiration strikes you! Meet Sharon Vrooman! She had diligently signed up for Desire to Inspire Challenge...month after month for the last year. Finally, it was time to give Sharon a shot at the Challenge, and we picked the perfect collection for her! (Really amazing how that always seems to work out, right Challengers?). We were so fascinated by Sharon when we learned that her address was ACTUALLY on Quilt Lane! Life and History of Sharon and growing up in Schoharie, N.Y. I live in a little rural town, Schoharie NY,that is steeped in history. I live in one of the original homes in the valley and am a direct descendant of one of the founders of the valley - ColonelPeter Vrooman. I think this strong connection to family, history, and the valley has played a huge part of my crafting life - and now into my quilting. The wonderful selvedge of this Moose Lodge line just makes me think of our mountain and the plaid is such a reminder of my Dad. Maybe that's why I use the leader/ender method - never to break or cut a thread, but carry on. I didn't start quilting until 2009, but had a sewing back ground. My great grandmother taught me to sew buttons and I still treasure her button box. I was in the 4-H program as a youth and participated in the Sewing With Wool contest for many years. Of course, I did some sewing for my three children when they were young - mostly toys which led me to designing and making mohair bears and prim dolls. Although I had the most excellent teacher right next door, I am a self taught quilter. I was recovering from a serious car accident and the computer was my contact with the outside world for a long time - so I educated myself. The internet! So many great teachers, tutorials, films, blogs, history sites, articles. I learned quilting from ground floor up so to speak. I have a strong connection to the history and heritage of the art, but also love the expression of the modern. Polaroid quilt using the panel - love those plaids, and the pinecones - such a connection to my Dad. The little stool and chair were my dad's that my children gifted him on our last visit to the Adirondack Mts - his favorite hunting and camping areas. Strip and patch quilt - that fabric print was too nice to cut up so I cut it into thirds and added the strips and patchwork. We are lucky to live inbetween two NY mountain systems - Catskills and Adirondacks - and these fabrics just so represent where I live and have played. I am a member of the Schoharie Valley Piecemakers quilt guild. We do several charity projects thru the year to help local activities, our talented members teach and share, and we host a special class each year . And I have to thank Stephanie who did all my wonderful outdoor photos for me, to Barbara who quilted the larger quilt the day I quilted the smaller, and to Kathy who took the few pieces of fabrics I had left over to play with. I am also the current term Secretary for the Catskill Mountain Quilters Hall of Fame. We just sponsored a feature quilter exhibit (my Mom) with a 2 month show at the Catskill Mt Center in Arkville, NY and had a quilt show with our five county wide guilds in Roxbury, NY. I donated the polaroid quilt and cardinal pillow to the local Schoharie Free Library (their 100th birthday) for a fund raiser. And the strip/patch quilt and patchwork pillow were donated to the Middleburgh Library for a fund raiser. Both of our local libraries were a large part of my childrens' lives, and sadly are still recovering from Storm Irene in 2011. Two baskets match Sharon's Moose Lodge decor! Thank you Henry Glass for allowing me to design with some wonderful fabrics that were so connected to my home and family. We are featuring an adorable bundle for our giveaway today, PLUS a chance to earn bonus points by taking a look at our Fall 2016 LookBook! See all the new collections, and comment on your favorite to be entered to win. 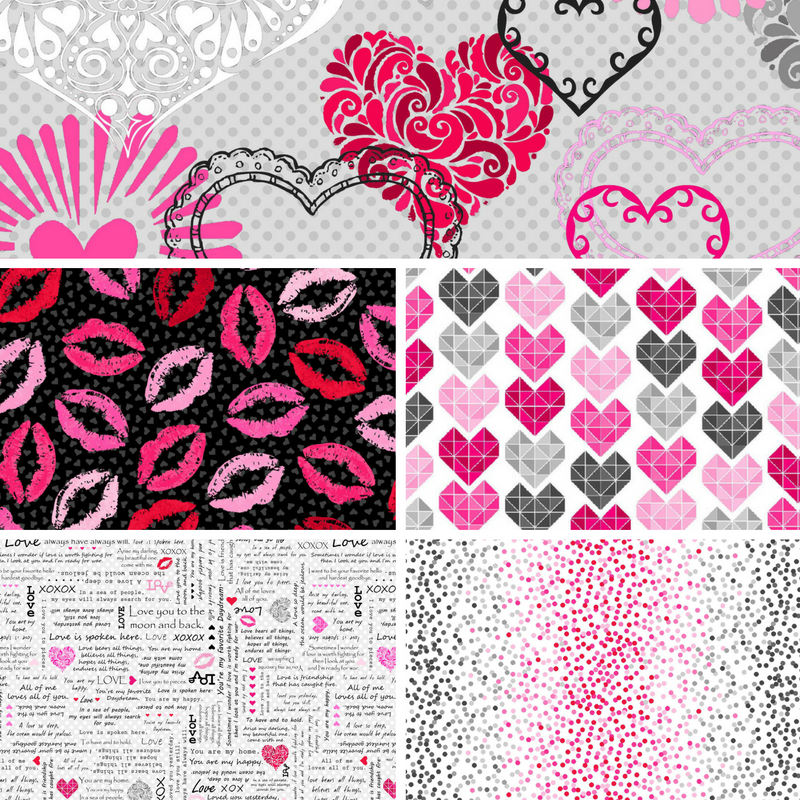 Time to set your sights on Valentine's day and here is a PERFECT bundle to do just that! Forever Yours from First Blush Studio by Henry Glass & Co, is sweet and chocolate fun! Janet Rae Nesbitt is the creative force behind One Sister Designs. We caught up with Janet in a crazy afternoon as she was preparing for quilt market, and putting finishing touches on her latest book. We got a little glimpse into where she’s from and what’s going on with her now. 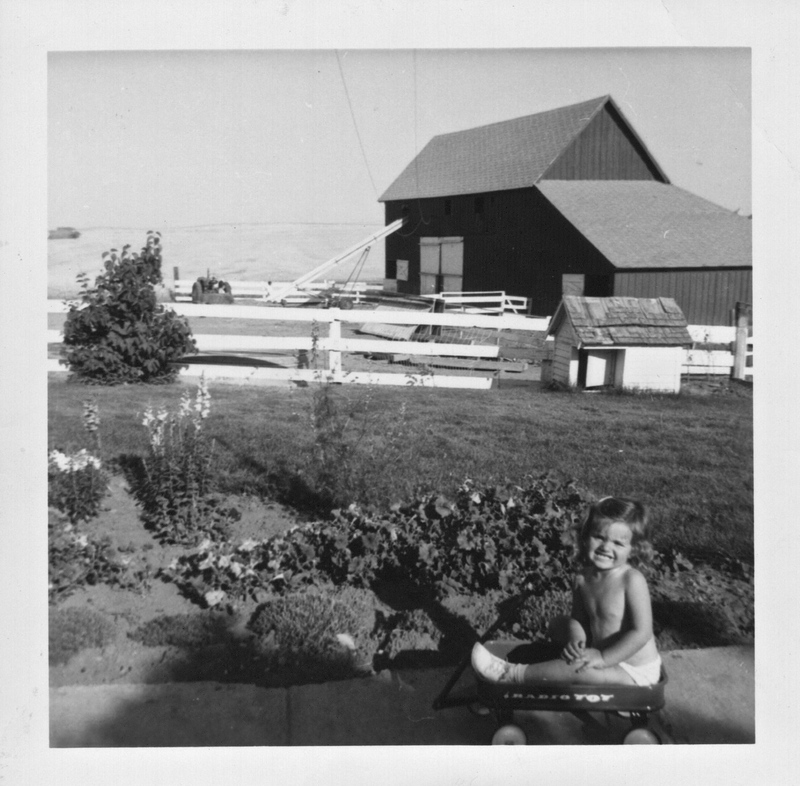 Janet grew up in Western Washington, in the tiny town of Reardan, the daughter of a dry land wheat farmer. One of four girls, she grew up helping out on the farm with harvest and haying, whatever needed doing! Janet always enjoyed sewing and crafting and got some mentoring by participating in her local 4-H club. While in 4-H she made her first quilt using a McCall’s pattern with a 4-point star. She even entered the quilt in the local county fair! “Even way back then I liked star patterns!” she said. As a young mother, Janet took a hand appliqué class from Sue Linker who was teaching her Sun Bonnet Sue Throughout the Year (Martingale/That Patchwork Place) and that was probably the first time the designing bug hit. Janet started changing Sue’s patterns, with her permission, to Overall Bill, and began drafting blocks of her own. Janet and Sue met once a month for 6 months and Janet got her foot strongly planted in the quilt design world. 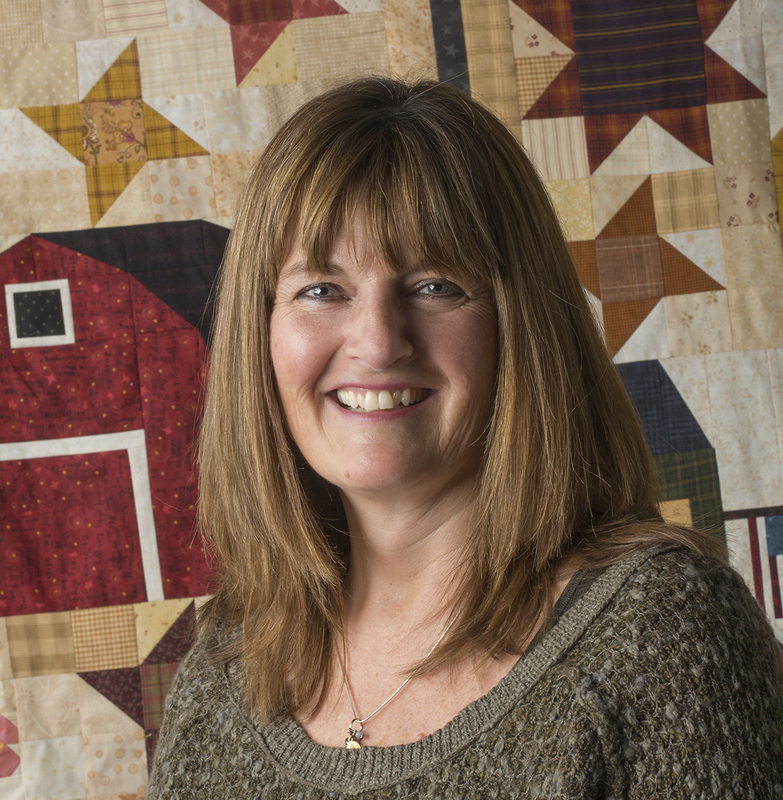 Janet even designed a quilt with Overall Bill holding the cow’s tail during milking time! The Buggy Barn on the Nesbitt's property. Then in 1996, her youngest son was heading off to kindergarten and Janet’s sister Pam’s youngest was headed to college, so the two decided to open a quilt store in the Janet and her husband’s barn! The realtor had called the barn a ‘carriage house, but an elderly woman in the area told them that it was always called the ‘buggy barn.’ And that became the name of the quilt store. Since the Buggy Barn was about 25 miles from the nearest city, Janet and her sister were looking for a marketing angle that gave a reason for customers to make the drive out to shop. One day, a very dear customer came in and was explaining a method she’d seen for making scrappy pockets for a vest. Janet drafted a pattern a transferred the concept to a pieced quilt, and Buggy Barn Crazies was born! This is a technique of stacking fat quarters, cutting on the lines, shuffling the fabric so there are no two fabric pieces alike in the same block, and then stitching it all back together again. It is a nice systematic process and only requires squaring it up once you’re done! What everyone seems to like about the technique of crazy quilting is that the cutting is fast and easy and then you’re done and sewing. Initially, Buggy Barn Crazies was the marketing angle that would get customers to the remote location to take a class at the shop, but people had conflicts and began asking to just buy the pattern. So this is how Janet, the pattern designer, began. Since that first pattern, she has designed and produced over two dozen patterns, and has her designs as the basis of 30 books! Now her brand is One Sister Designs and she is publishing her fifth book under her new name. Her latest book came out in August (2016) and was published by Martingale. 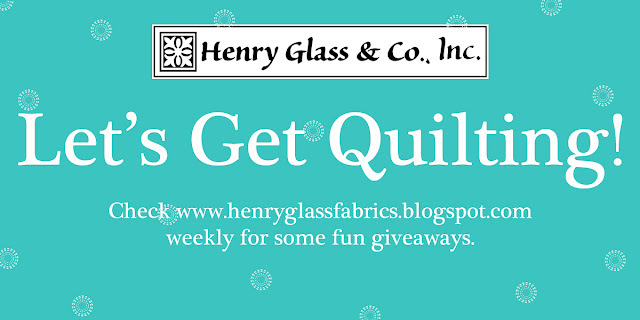 (Yes, she will be a quilt market in the Henry Glass booth signing her new book and giving several copies away). So from pattern designer, the next step was fabric designer. That’s when Henry Glass comes into the picture. About 2003, Henry Glass & Co. approached Janet and her sister about designing fabric under the Buggy Barn name. Since those early days, Janet has continued to design fabric under the One Sister Designs name. With her two grown boys, Ross and Zack, and husband, Tom. Janet’s inspired by the things around her; houses, barns, country roads, gardens and color! 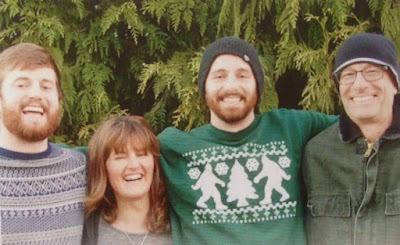 She loves to garden, bike, kayak and paddle board with her husband and the two grown boys. And, of course, quilt! She also still has her hand in teaching both the crazy piecing technique and needle turn applique. Here is Janet’s book list in order of publication: Down This Country Road, Completely Crazy, Crazy Favorites, Crazy at the Cabin, published by Martingale and the newest book, to be released at Quilt Market; Back Porch Quilts. 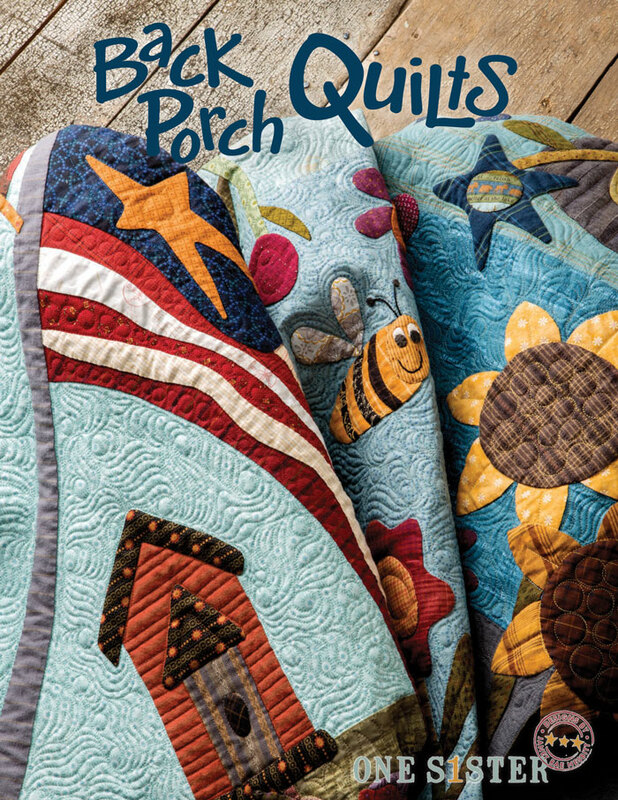 The feature quilt from her newest book; Back Porch Quilts. Actually hung on the back porch! Sharyn Sowell is a new fabric designer with Henry Glass, and a very accomplished artist in lots of other worlds. Check out this interview we did with Sharyn in March. This collection brings the joy of the timeless Jesus Loves Me song to life with butterflies, bubble dots, and children's silhouettes in squares. Enter to win this charming bundle! Desire to Inspire - Our October Challenger has been selected! This month's Desire to Inspire challenger will be taking the Moose Lodge fabric and making wonderful things, we are sure of it! 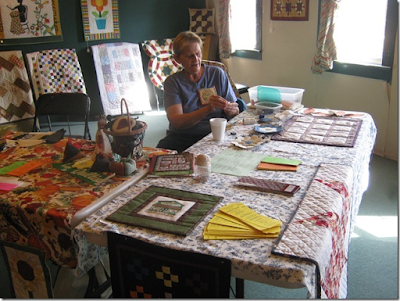 Meet our challenger, Sharon Vrooman, avid quilter, who is shown here demonstrating some handwork at a recent local 'fiber artisans' exhibit. She is a resident of upstate New York. And check this out: here is a sign with the name of her lane... not a coincidence. That's how they named their private farm lane. 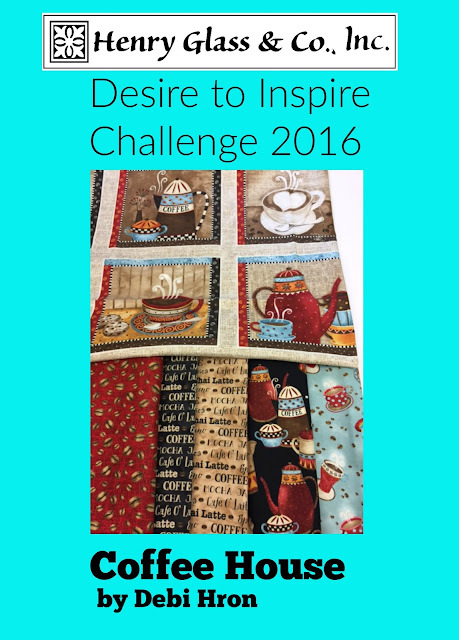 Let's Get Quilting 2016 - Adore! Adore! This is one of the fabulous Henry Glass collections that is shipping to shops in November. It's called Adore! to show off our classic affair with love. Here is a peek at what's in store for you in this 9 pc. bundle prize in the Adore bundle.